Robert Cutietta is dean of the USC Thornton School of Music and the USC Glorya Kaufman School of Dance. Cutietta has served as dean of the USC Thornton School of Music since 2002, and has overseen an expansion in endowment, programs and space while building upon the traditional high quality of education that is the school’s trademark. 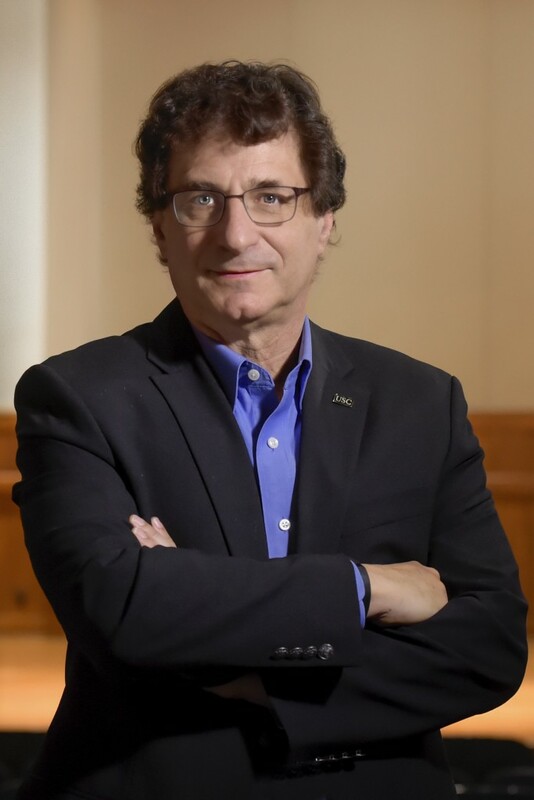 Under his leadership, the school has introduced innovative degrees in music education, arts journalism, visual and performing arts studies, choral music, vocal jazz, and the groundbreaking popular music performance program. He was appointed dean of the USC Glorya Kaufman School of Dance after working with Ms. Kaufman during the time she was considering her gift to USC. For more than a year, Cutietta and Ms. Kaufman met to ponder, discuss and, most importantly, dream about the impact a new dance school could make. When the school was officially announced in 2012, it was natural for Dean Cutietta to continue as the first dean of the USC Glorya Kaufman School of Dance. During his tenure at the USC Thornton School of Music, the school’s endowment has seen a dramatic increase with the addition of five new endowed faculty chairs and one professorship, tens of millions of dollars in new scholarships, and funding for new endeavors such as an ensemble touring fund and a travel fund for student finalists in national and international competitions. He has been especially effective supplementing the already illustrious faculty with new world-class artist/teachers such as Midori, Bob Mintzer, Glenn Dicterow, Ralph Kirshbaum, Patrice Rushen, Peter Webster, Lemont Dozier, and Young Guru. Since 2006, he has hosted Ask the Dean, a popular weekly segment on Classical KUSC, the largest classical music station in the nation. He continues to perform and compose music for television and movies. A widely published author and a respected authority in the field of music education, he continues to perform, research and write. He has published over 50 articles and co-authored or authored five books, including his most recent, the second edition of Raising Musical Kids: A Parent’s Guide published by Oxford University Press in 2013.